Non-Code Tank Heads / Tank Ends – Clark Kennedy Co. Inc. This style of head can be supplied in the following materials: A36, 44W, SA516 Grade 70 and stainless steel. 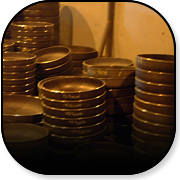 Material thickness ranges from 3/16″ to 1/2″ in carbon steel and 11 gauge to 1/2″ in stainless steel.